Akron Children’s critical care tower will be the center of our campus as well as the focal and entry point of Akron Children’s Hospital. Connected to convenient parking and also the existing hospital, this new facility will total more than 368,735 square feet and 7 stories. $15 million names the building and ensures the highest visibility and most comprehensive opportunity. $2 million names the new “front door” to the hospital, a welcoming entrance to the lobby that will be easily recognizable from inside the hospital and out. 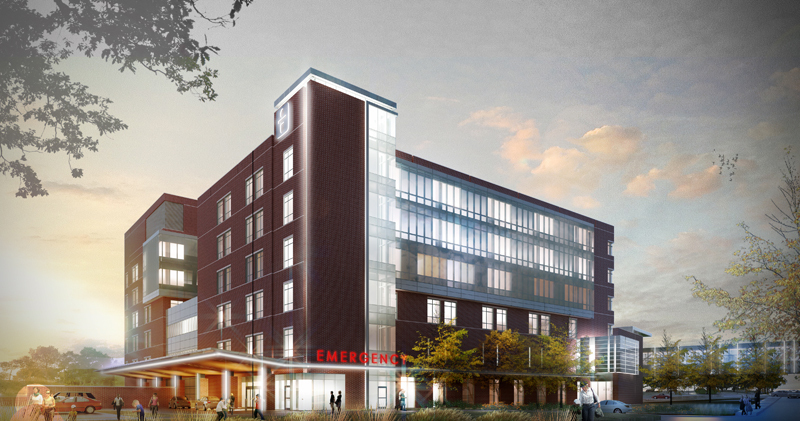 $2 million offers naming rights to the concourse that connects the new parking deck to the critical care tower and the existing hospital. $250,000 names the lobby cafe, which will provide nourishment and relaxation for our patients, families and staff. $250,000 names the outdoor amphitheater, which will contribute to the positive energy that characterizes Akron Children’s Hospital. $150,000 names the reception desk. $50,000 finishes the public areas through development of the artistic distraction walls.